I took a break this past Friday to see Fury Road with the girlfriend and holy crap, it did not disappoint. The only way I could think to describe it was a 2 hour sci-fi car chase on mushrooms. It was just balls-to-wall action madness with some awesome characters, including some badass women who even passed the Bechdel Test. 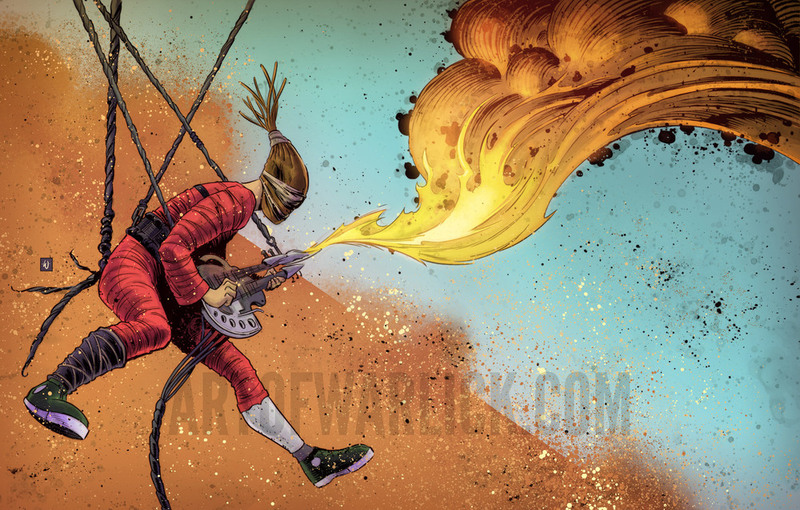 I liked it so much I decided to spoil myself by doing a strictly for fun fanart piece of the Apocalypse's Guitarist, The Doof Warrior. This guy just about stole the show. Prints are available in the shop! For anyone outisde of the United States you can also pick this up in my Etsy Shop.